It’s the digital version of word-of-mouth, so it’s no wonder companies are investing more and more money into influencer marketing. However, finding the perfect influencer is hard, because it requires time and research. The influencer that most often gets the job is the influencer anyone can remember during an agency brainstorming session. That’s why you always get the impression that everyone around you is using the same five people to promote their product. It seems as though these influencers are endorsing weight-loss supplements on Wednesdays, and electric cars on Fridays. But savvy marketers are already ten steps ahead. The new industry strategy for reaching the millennial audience is working with “micro-influencers”, people who average between 10,000 to 30,000 social media followers (in some definitions, even up to 100,000 followers). Micro-influencers are still a fairly new thing, so there is time to join the party. The only reason why marketers are not using them is because they don’t know how to find them. But with research showing that micro-influencer campaigns are 6.7 times more efficient per engagement than influencers with large followings, your initial effort will definitely pay off. So, how can you start? In spite of all technological advances, most marketers are still trying to find influencers manually (unless they are Pepsi). You look at hashtags, see who’s posted something, and then go down the rabbit hole of opening 200 separate tabs with social media profiles. It is the micro-influencers that manage to stick out in the sea of tabs that end up getting the job, simply because the task is so overwhelming. Even worse is that Google can’t help you with your search. Micro-influencers don’t come up as results. When you google “scuba diving”, you get the results Google thinks are most relevant for the majority of its users. In most cases, this is quality, in-depth content that’s been around for some time. Naturally, it won’t have a lot of recent results from up-and-coming social media stars. Both approaches have their advantages and disadvantages. Influencer marketing tools are databases that contain hundreds of thousands of influencers, but they are mostly opt-in, which means you will find only those influencers that submitted their profile to that particular database. The advantage is that they screen influencers before allowing them to connect with you as a customer, and it is a well-filtered list of people open to collaboration. A lot of these platforms also have relationship management, payment options, etc., which saves time and helps you be organised. The disadvantage is that there are far fewer influencers on these platforms, and that it can cost you a pretty penny to hire them. If you are a strong international brand that has a wide audience and a big budget, influencer marketing tools are the way to go. If you look at their client portfolio, they are predominantly working with big brands. So if you are trying to promote scuba diving equipment to people in Egypt, and you don’t have a lot of money lying around, it is unlikely you’ll find the influencer of your dreams on these platforms. With social listening tools, the main advantage is that you can search the internet AND social media channels, and find any influencer that posted a hashtag or a keyword that has something to do with your business. For example, if you’re selling swimwear, input #swimwear and you’ll get links to any social media profile that mentioned this hashtag. They are also typically cost-friendlier (or free) than influencer relationship tools. The disadvantage is that they require slightly more work in the beginning, and you don’t know if the influencers will be open to collaborating with you or not. Here is a great hack: most of these tools have a free trial, so the investment doesn’t have to cost you a thing initially. Your best bet would be to incorporate both influencer management tools and social listening. That way you’ll be sure you have everything covered. From now on, we’re going to focus on social listening tools, and finding new micro-influencers this way. How to find micro-influencers using a social listening tool? You should have the picture of your ideal micro-influencer ready before you start, but the key thing here is creativity. For example, if you are selling energy drinks for people who exercise, your ideal micro-influencer is an athlete with a following of 10.000-100.000 users on Instagram and Facebook. But what kind of athlete? Obviously I am not going to go to Leo Messi and ask for endorsements. First of all, Messi is already supporting major brands, and my up-and-coming company would not interest him. Second, his followers are football fans who do not necessarily engage in sport activities themselves, and I would therefore be wasting a lot of money to reach maybe a fraction of his audience. Instead, I am going to look at sports figures in less prominent sports like parkour, waterpolo, and rock climbing. While these athletes do not have millions of followers, their audience tends to be other aspiring athletes or enthusiasts who share their lifestyle. 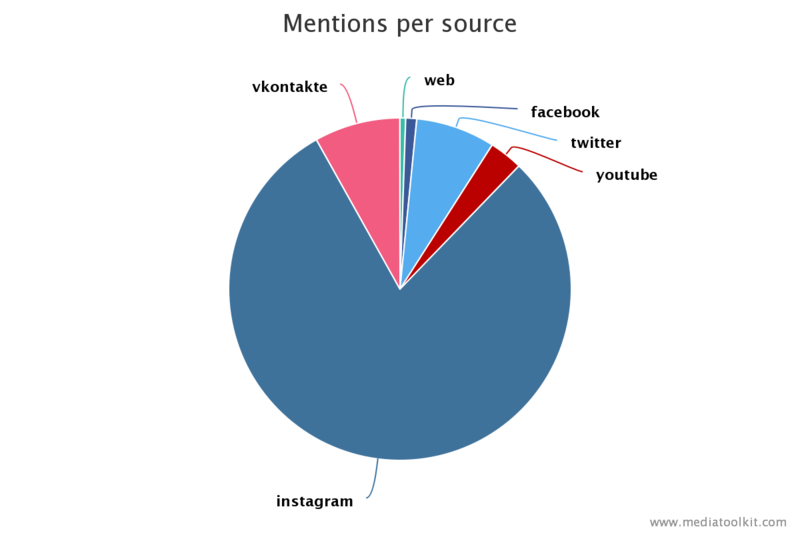 As we can see, most mentions come from social media, particularly from Instagram. We are, after all, dealing with a hashtag. And Instagram is the perfect social network for beautiful photos of climbing in nature. Twitter is more conversational, whereas brands on Facebook still are not using hashtags to their full potential. You can’t search for “fashion” and expect to get mdicroinfluencers, can you? What you can do is that you can search for a #zara or #hm hashtag, or any hashtag mentioning a brand similar to yours. Many fashionistas hashtag their posts in hopes of being found and offered a chance to promote products. What if an influencer is not using keywords or hashtags? Well, that’s like not knowing influencer alphabet. Those people most likely are not on the mission of expanding their number of followers, or working with brands. This applies to virtually any industry. Are you trying to capture a large international audience? Set your search to all countries. If you are looking to appeal to a local audience, filter influencers by country. It’s easy as pie. If you did all of the above steps correctly, you should be left with a feed of people talking about your subject of interest. You can then filter those further by sorting them by time, reach or virality of their posts. You can narrow your search to specific channels, such as YouTube-only. You can go through these mentions manually, but you can also use our Influencers tab. This is where you will see influencers with the highest reach on websites, Twitter, or Facebook. 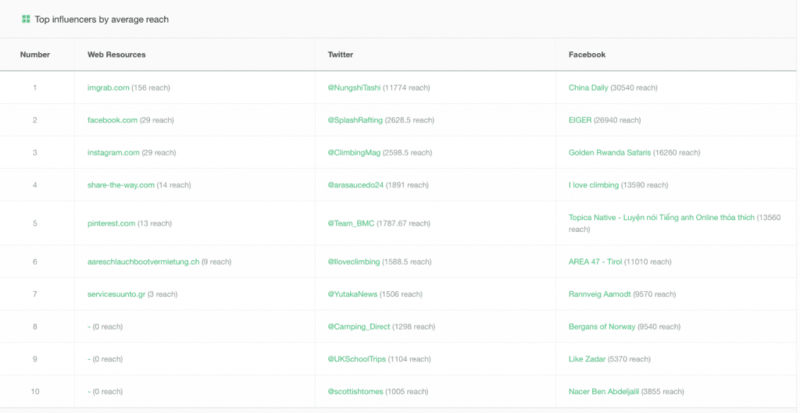 You will also see the influencers who mentioned your keyword of choice the most. One of our influencer dashboards presented me with profiles of Angy Eiter and Rannveig Aamodt, who are both rock climbing champions. It took me less than a minute to find another influencer: a German alpinist Michi Wohlleben. He has 6,459 followers on Facebook, and 8,700 followers on Instagram. In order to see his engagement average, I’ve exported data about his engagement numbers from Mediatoolkit. Michi averages 1207 likes on his Instagram post, which puts him at 13,8% engagement rate on average! If you take into account that data shows that users with 10+ million followers receive 1,6% engagement rate, and those with 1,000 followers 8%, Michi is the ideal micro-influencer. I’m not the only one to think that: he is already working with brands such as adidas TERREX, PrimaLoft and Julbo Eyewear. That’s basically it. This is how you find a great micro-influencer. However, if you want some extra tips on how to get even better at identifying influencers, read on. There are some bad influencers out there, the kind that buy fake followers to give out the impression that they are popular. The easiest way to recognise them is by the lack of engagement on their posts. Another way is to use a specialized fake follower detection tool like Fameaudit. For a regular user, and a micro-influencer, the number of fake followers should not be higher than 15%. Anything above that can be considered a cause for concern. This tip should’ve perhaps been higher up on the list. It’s only natural that people already mentioning your brand in their posts are going to work with you. 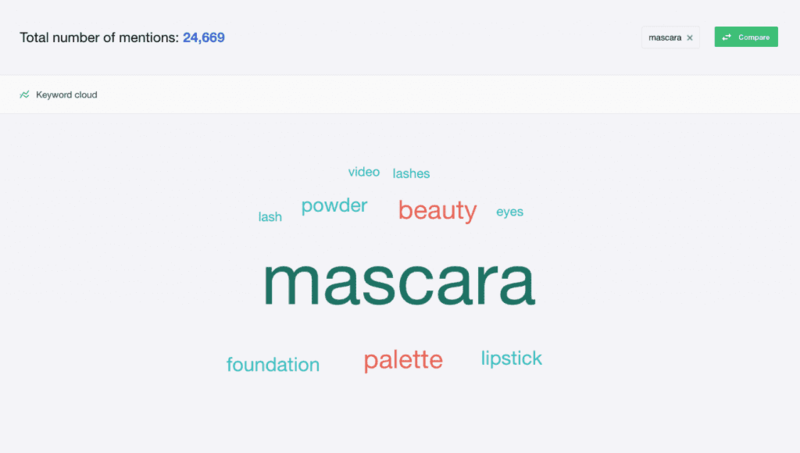 Be sure to track your brand name and company name in a social listening tool like Mediatoolkit. In a lot of countries, influencers are required to disclose their posts as sponsored. This is most often done by using the hashtags #ad, #promo or #spons. If you want to narrow your search even further, and work with influencers that already work with brands, track #ad or #spons AND your keyword of choice, for example: #ad AND #swimwear. This will give you an overview of all influencers who are already using paid posts on social media. There are potentially thousands of such users. Be creative with your keywords and you can strike gold. To sum up, micro-influencer marketing is only going to grow in the future. If you start working on finding your perfect influencer right now, you are in a unique position to grow your brand at a fraction of a cost you’d get with celebrities, while having the opportunity to reach only the target audience you want. We care about your privacy. Let us know if you'd like more informative content from us. No spam, we promise. Send me the Mediatoolkit Updates newsletter. Iva works as a marketing & PR manager in Mediatoolkit. She is constantly on the phone, juggling between advertising and communicating with journalists, which often makes her unable to focus on the task at hand, like writing this bio. Many brands are using micro-influencers. We should prioritize influencers’ relevance over their reach. I use Phlanx platform to reach the right influencers to help me promote my brand.